Spend New Year's Eve with BC! Come join BC, Eric Darius, and Larry Braggs for New Year's Eve in beautiful Huntington Beach, CA. Very few seats remain so book now. 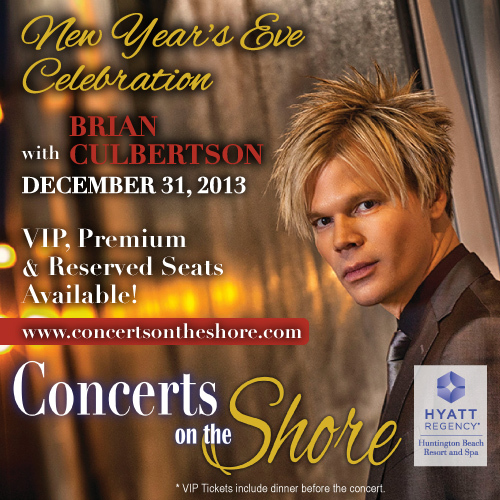 Brian his band including Selina Albright & Marqueal Jordan will headline a New Year's Celebration at the Hyatt Regency on December 31, 2013 to ring in 2014! VIP Seats, which include a 3-course meal from the award-winning chefs at the Hyatt, are available for $225 per person. Reserved seating starts at $95. Get your tickets today before they sell out! !